The Kings of Israel rulebook contains rules for three versions of the game: Easy, Regular, and Expert. 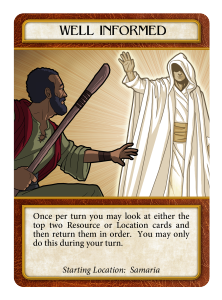 The Easy version allows players to see each others cards and any time a sacrifice is made a Blessing card is drawn that turn by the player. 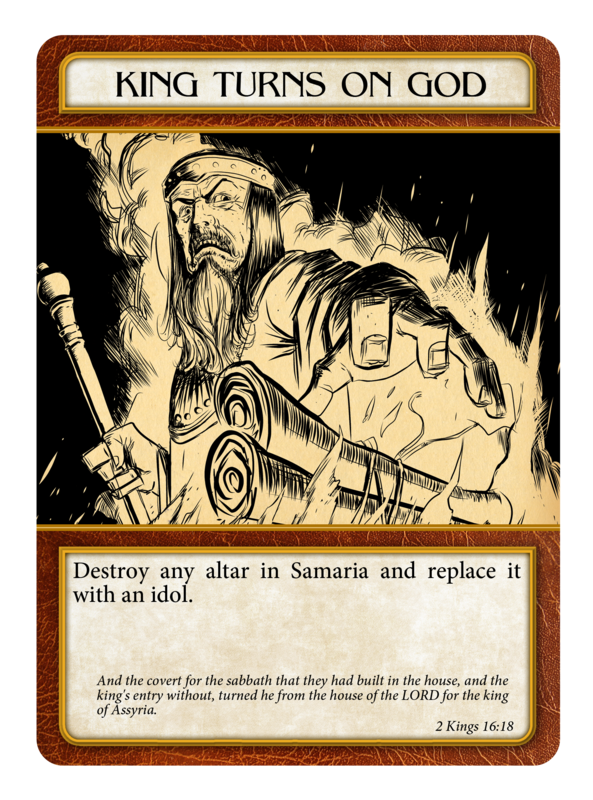 The Regular version has cards hidden and Blessing cards are only drawn during the reign of good kings. 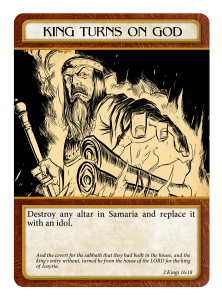 Finally, the Expert version adds a false prophet to the game which goes around adding sin cubes to the board and while trying to destroy altars. 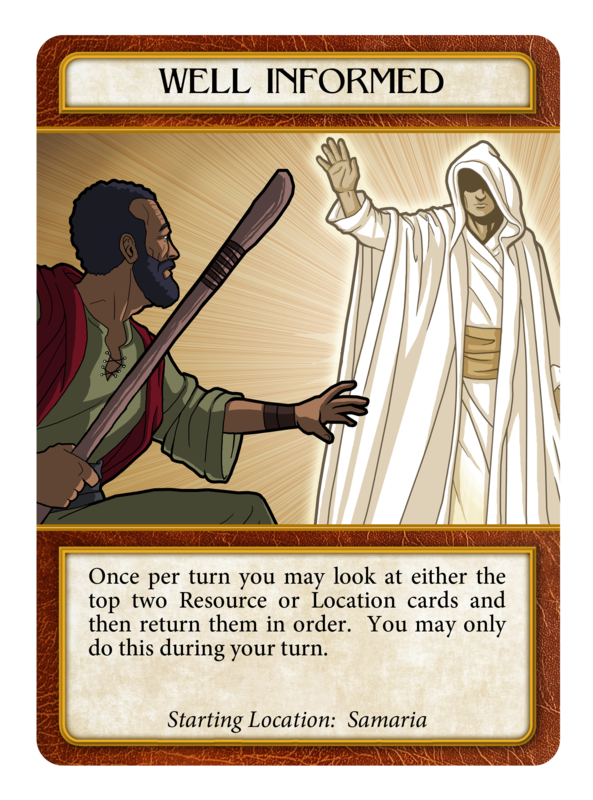 These rules remove the Ability, Sin and Punishment, and Blessing cards for an easier to learn and play game. This version also works well with younger players.